Are you new to Sanford, FL? Are you looking for a dealership alternative in Sanford, FL, for your vehicle's service, repair and maintenence needs? Are you looking for a family owned, independent Truck & Equipment service and repair facility in Sanford, FL? At Abar Onsite Fleet Services, we want to make finding a good Truck & Equipment repair facility for people living in Sanford as easy and painless as possible. 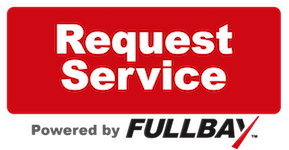 We know selecting an honest and reliable Truck & Heavy Equipment repair shop is not always an easy process.